How to Learn Spanish in a Day? This Is a Great Resource! Would you like to learn Spanish fast as possible? I believe yes. Who wouldn’t want? 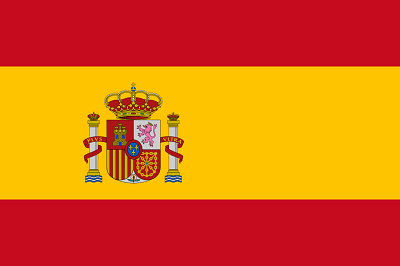 Spanish is a beautiful and one of the most spoken languages worldwide. 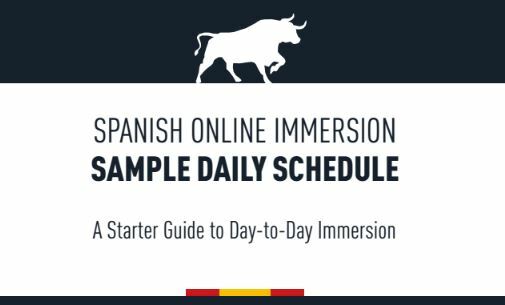 Today I am going to answer a question, “How to Learn Spanish in a Day?” I am going to share a great resource that can give you a crucial breakthrough with Spanish. And yes, you can go through this course even in a day. What Is “Why Spanish Is Easy”? 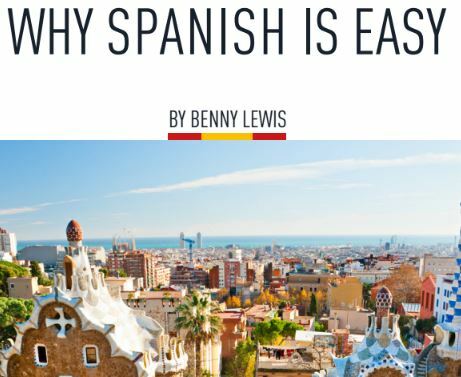 Why Spanish Is Easy is a short course made by probably the world’s most famous language guru Brendan “Benny” Lewis. He has also created similar courses with German, French and several other languages. Benny’s course consists of an eBook and two bonuses. Who Is “Why Spanish Is Easy” for? => Start Learning Spanish Today! Benny’s eBook consists of Intro, 4 parts and conclusion. Benny starts his book by telling his story and describing the right mindset for learning a new language. Just like in his “Why French Is Easy” and “Why German Is Easy” eBooks. However, he tells his story always from a different point of views when he learned different languages. Benny Lewis speaks more than 12 languages nowadays fluently including Hungarian, Chinese, Quechua, American Sign Language, Turkish and many other languages. But surprisingly, Spanish has been probably the hardest language for him to master. It has nothing to with the difficulty of the tongue, but the reason is that back then Benny didn’t know how he would learn Spanish easily. He had studied Spanish at school, on expensive courses and lived in Spain for 6 months was still wasn’t even able to ask where is a bathroom in Spanish. He convinced that he just doesn’t have that “language gene.” I’m very happy that he didn’t give up kept on going. Nowadays he is probably the most influential polyglot in the world. The second part gives tips to Spanish pronunciation and explains why it’s actually quite easy. I am from Finland and I have found out that especially for Finnish people Spanish pronunciation is a piece of cake. They use the same vocabulary like in Finnish and English. In addition, they pronounce their words just like they are written. In my opinion, Spanish is much easy to pronounce than English even though I have used English probably 20 times more than Spanish. The fourth part gives simple tips how you can learn Spanish vocabulary a bit quicker. One thing I noticed when I was studying Spanish that I didn’t even need to know the Spanish word always. I just thought what is that word in English and then pronounce it in a Spanish way. It works quite often! El helicóptero entra en la universidad. El animal escapa del tren. You don’t need to know even a word of Spanish that you can translate those words into English. This bonus will help you to use time every day for learning Spanish. It reveals many wonderful Spanish resources and tools that will keep you on the right track towards Spanish fluency. It will give many concrete ideas and steps what you can do in order to make progress. The only way to learn a language is to dedicate time for learning. The biggest reason that people don’t learn a new language is that they don’t bother set any time for studying. This tool will help you to do that. You can also find this tool for Spanish and for more than 10 different languages in Benny’s Fluent in Three Months Premium course. Why Spanish Is Easy costs $37, and there is a full 30-day no questions asked money back guarantee. If you are not satisfied with a course, you can get your money back immediately. I am living in Austria, Kufstein. The price level high is not especially high here. But a language course in a local language school costs 339€ (around $350). The company where I am working is paying those courses for its employees which is the reason I took one German course there. But if I would need to pay myself, I would never pay so much for a language course because there are much better and 10 times cheaper resources online. If you compare the price of “Why Spanish Is Easy” and a course in our language school, Benny’s course is 9-10 cheaper and perhaps even more valuable. I have seen some very expensive “intensive” language courses that cost even thousands of dollars/euros. That’s sick! 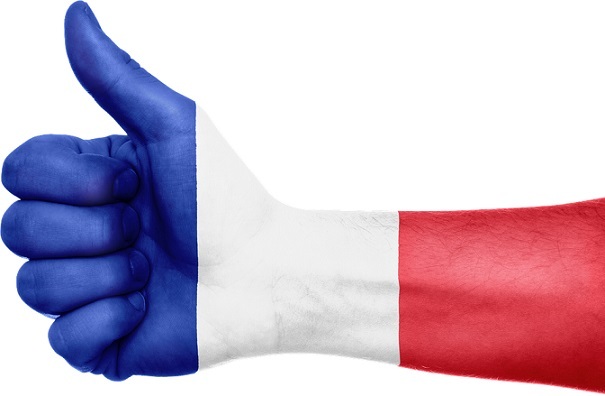 It’s totally possible to become a fluent in a foreign language for free. If you want to speed up the process, then you can use some paid resources like this Benny’s Spanish course. => Want to Learn Spanish in a Day? Take Benny’s Course! Now I would like to hear from you. What have been the best resources for you to learn new languages? How have you learned Spanish? Leave a comment below! Or if you have any questions or comments about Why Spanish Is Easy, don’t hesitate to leave them below and I will be more than happy to answer you personally. Super cool! I’ve tried learning many languages before, but it’s such a process that I usually give up after a few weeks of practice – I haven’t actually tried spanish so this is a great resource, thanks! It’s great to hear that Spanish is actually easier to pronounce than English, so now I’ve got no excuse but to try again! yeah, language learning process requires time and persistence. 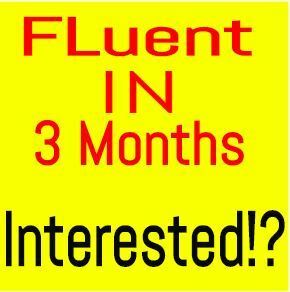 You can become a fluent in 3 months but it would require that you practice several hours every day. Most of the people don’t have so much time every day if they are not using the language in their work. Un diffucultad de aprender Espanyol esta que cambia muchisimo de pais en pais! ever so slightly but this is only a problem for very (I do mean very) advanced speakers as “Coge” (Take) means something else In Argentina than it does in Spain. yes, you are right that Spanish is slightly different in different countries. However, I don’t think it’s a too big challenge. I Have spoken with Spanish speakers from 10-15 different countries and most of the time I don’t have any difficulties to understand what they are saying. The accent in Andalucia (Spain) and in Argentina are a bit challenging but after a little while I get used to them. About the Andalucian and Argentinian accents being difficult — tell me about it! I once stayed in Malaga for three weeks with two Argentinians. The Andalucian accent is so hard, they don’t pronounce the “d” or the “s,” at the end of words usually, and they speak really fast. So “mas o menos” becomes “maomeno”! One of the Argentinians was fron Buenos Aires, her accent was OK. The other was from somewhere else, and the rhythm sounded very Italian to me. This is a downside of learning from audio programs that speak with a perfectly pronounced, “newsreader” type accent. For Spanish, in Europe at least, you usually get a Madrid accent. But few people actually talk like that. I think if you plan on going somewhere, try to find an online radio station from that region, or watch interviews with celebrities and sportspeople who come from there. Otherwise, you’ll get a surprise when you get off the plane, like I did! That’s true. But I think it’s the same with any other language as well. There are different accents and dialects that are a little bit complicated at first but once you get used to it everything works great. I think that learning the “standard” Spanish is still good because when you have a good basis you can quickly accommodate to new accents. There isn’t a single Spanish accent or dialect that I couldn’t have understood fluently after a little while. Thank you ! This is very interesting for me since I am fascinated by the Spanish language. We were once colonized by Spain so a lot of our words were borrowed from their language. I have encountered the site of Benny before since I am currently looking for a more effective way to teach Mandarin to my kid. Thanks to your article; I might go for his program. I think it’s a bit of both. On one hand, at least as far as I can tell at a roughly conversational level, the distinctions of when to use ser and when to use estar are pretty clear. Fixed things and traits, use ser, temporary things and locations, use estar. On the other hand… “Donde es la fiesta?” appears to be talking about a location. But you use ser. But some people say “Donde esta la fiesta?”, meaning in a more general sense “Where’s the party?”, or “Where are we going tonight?”, something like that. As a native speaker you would know this intuitively, but non-native speakers like poor old me would mix that up. It’s kind of like how native English speakers intuitively know how to make a verb into the past tense, but foreigners often get them mixed up (like how “ride” becomes “rode” and not “rided”). Learning Spanish was not actually that easy for me. I don’t think it is easy to pronounce than English for me, because it took many days of repetitions before grabbing some few clauses and phrases in Spanish. Up till now, I don’t think am still fluent like I suppose to be. For me it’s not really easy to be fluent in Spanish, it requires a lot of things. Although it’s one of the easiest languages out there. Will give the book a try. I bet that you weren’t using good techniques if you think that Spanish is hard. If you are using the right techniques, it can be a very easy language. Have a look at Baselang. Nowadays it’s probably my #1 recommendation for learning Spanish. I have a question for you about Spanish. Like you said earlier, learning the vocabulary is, well I wouldn’t say “easy,” but compared to Thai which I’m learning at present, it’s a walk in the park. I found the grammar quite difficult but it’s starting to sink in. I can speak fairly well, I’m not going to win any points for style, but I can get the majority of the points across that I need to make, if in a broken and foreign-sounding way. But my major problem is, and has always been, comprehension. I’ve tried watching movies and listening to songs and things like that, but with little success. if people don’t speak slowly and patiently with me, we basically can’t have a conversation. I improved in Spanish in the fastest speed when I practiced it with native speakers. I before that I struggled a lot and felt like I would never learn it. My #1 recommendation for learning Spanish fast is Baselang. There you’ll have an opportunity to practice with Spanish native speakers even though you couldn’t speak a lot yet. Another great resource is Italki. I believe that these two resources can already make you a fluent Spanish speaker. So, this course is for those people who are already learning Spanish, but do not have confidence to use with real speaker. From what I have read here, I believe this course will develop a person into a Fluent speaker, however, to begin this course, you already need to know the language. What if I want to learn Spanish from zero? can this course help me speak Spanish fluently? Yes, this course is also for those who don’t have any former experience of studying Spanish. It will give a quick start and you’ll make a fast progress afterwards. The only group that don’t get so much benefit of this course are those who are already speaking Spanish fluently. Learning Spanish is not easy for us who grew up in other countries. I know everything can be learned but in a long time. Coping up with other countries is bit complicated sometimes. Spanish is good language i hear it only in youtube or any blog in internet. It really catches my attention about Spanish learning articles. I want too learn this language through the recommendations. I want to learn any kind of languages. In my opinion, Spanish is easy when you just use the right techniques. Have you seen Baselang? It’s quite amazing resource for mastering Spanish. Yes i saw already Baselang in your website very helpful but the problem is me. I cannot learn by myself i need a personal tutor but still i am trying learning with alternative ways like Baselang apps. 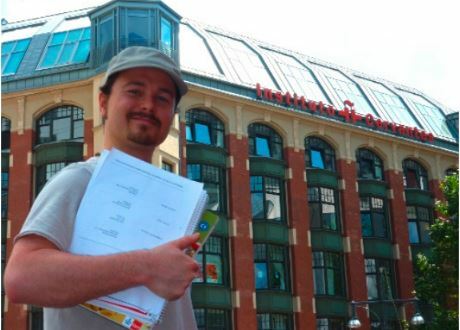 By the way thank you Mr. Roope you never failed us on your reviews. Jemuel, Baselang provides you a personal tutor who will guide you to fluency hand by hand. It’s not an app. Did you read my whole article about it where I explained how it works? Great article!! I moved to Spain when I was 10 and had to learn spanish. Spanish is one of the easiest languages to learn. You write spanish the same way you read it. It’s very flexible, you change the words inside the sentence and it’s still easy to understand. The only difficult thing in spanish is the conjugation of verbs. It has many different variations. Even spanish people make many mistakes with the conjugation, so it’s ok. I completely agree with you that Spanish is easy to learn. The pronunciation is pretty similar to my native language Finnish where words are also pronounced in a same way as they are written. I must say, that Benny Lewis guy is out of this world. I mean just wow! I can barely learn one language, what more 12? I am bilingual since here in my country, we learn English plus our mother tongue ever since we were children. Now that I am trying to add more languages on the list, I find it harder maybe because I’m older now. We have a few bits of Spanish words on our dialect though because we had been colonized by Spain before for a few centuries so their language and culture has become a part of us. Spanish was also taught in our schools then, but for some reason, the government decided to end it. I wish they didn’t though. I had the same thought also when I heard about Benny Lewis for the first time. 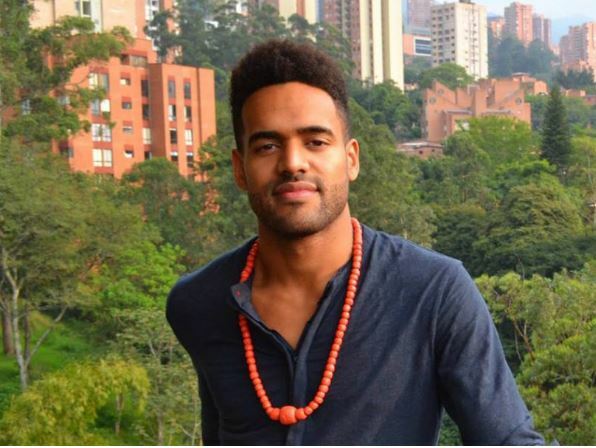 However, I have learned afterwards that he is just a regular guy who found the right techniques to learn languages effectively. He was speaking only 1 language when he was 21 years old. Did you know that adults can learn languages faster than children? I believe you’ll become fluent in Spanish faster than you believe if you commit to studying with resources that I offer on my website. One of the best resources for learning Spanish is Baselang. I could learn Spanish easy if I have the Benny Lewis 3 months fluent premium. Spanish is very respectful language. It’s easy to understand Spanish than to speak Spanish I think. Then have you already bought Benny’s Fluent in 3 Months Premium? In my opinion, it’s worth every penny and I’ve paid for it myself. I think it’s important to invest in your education especially if you are learning from the best ones in the world like Benny Lewis and other polyglots in his course. I have been told that Spanish is easy to learn because it’s have words similar to English and that helps a great deal with mastering the language. Looking at this means for learning Spanish, it seems very appealing with regards to the refund if you weren’t satisfied with the course in 30 days and the $37 is very cheaper. Yeah, Spanish is easy. Often just you just need to know the English word and pronounce it in a Spanish way. For example, Pronunciation is pronuncación in Spanish. Haha, that’s really interesting. It’s just an omission of few alphabets and it’s almost the same thing. The truth is that it’s not as hard as people presume it to be. Initially, I was thinking learning some foreign language would be that difficult and Spanish included but getting to try it out, I realized it’s just as easy as ones determination to learn it. Spanish is one of the easiest languages to learn for me. It’s because we have been colonized before and there are many similar words from my native language to Spanish and my ancestors used to speak Spanish every day before, so I don’t really have a difficult time learning the basic part. However, I still have a lot to learn and your website is helping me a lot. I’m glad to hear that my site has helped you to learn Spanish even further. Have you checked out Baselang? It’s probably the fastest way to learn Spanish.